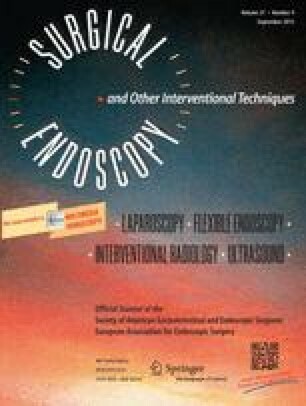 Background: Performance of endoscopic totally extraperitoneal inguinal hernioplasty (TEP) requires specialized anatomical knowledge and surgical dexterity. The present study was undertaken to evaluate the learning curve for a general surgeon to master the technique of TEP in the absence of an experienced supervisor. Methods: A retrospective analysis of the first 120 consecutive unilateral TEPs was performed. Medical records were reviewed to evaluate demographic features, perioperative outcome, and follow-up results. The study population was divided into six consecutive groups of 20 patients. Clinical data were compared among the groups to evaluate the impact of operative experience on perioperative outcome. Results: Operative time was the only clinical parameter that showed significant improvement with experience; it reached a plateau value of <1 h after the fourth group. Conversions to transabdominal and open approaches were required in only one patient in groups 1 and 6, respectively. Comparison of demographic features, hernia types, postoperative morbidity rates, length of hospital stay, and number of days to resume normal activities showed no significant differences among the groups. All complications were minor and resolved uneventfully. No recurrence was detected during follow-up. Conclusions: The learning curve for unilateral TEP by a general surgeon peaked after performing 80 procedures. In most cases, unilateral TEP can be accomplished safely within 1 h. Even during the learning process, TEP carries a low morbidity and conversion rate.